Welcome to Beach Retreat, located in Seaside! This beautiful four bedroom, two bath home has room for up to eight guests! 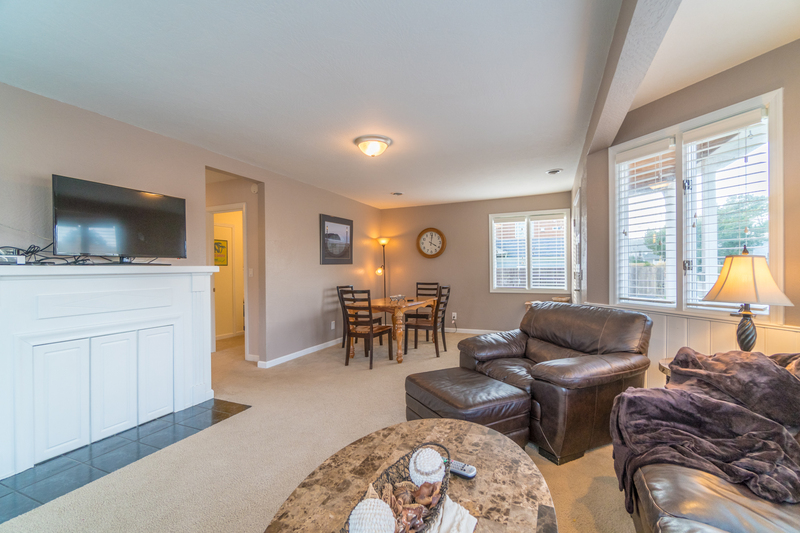 You'll enjoy close beach access from this lovely rental, along with plenty of space to relax and lounge around while staying here on your vacation! 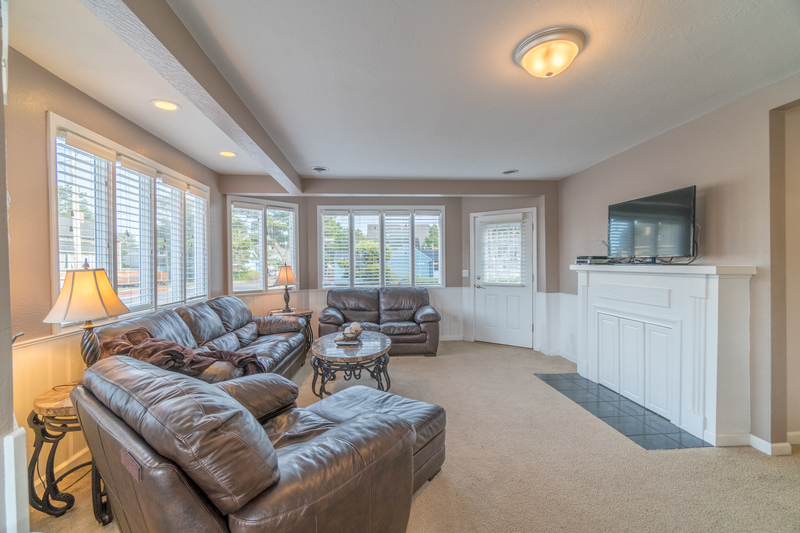 The living room couch offers enough room for everyone, so gather the family together and catch a late night movie, or just buckle down inside when a storm is raging outside during the winter months. 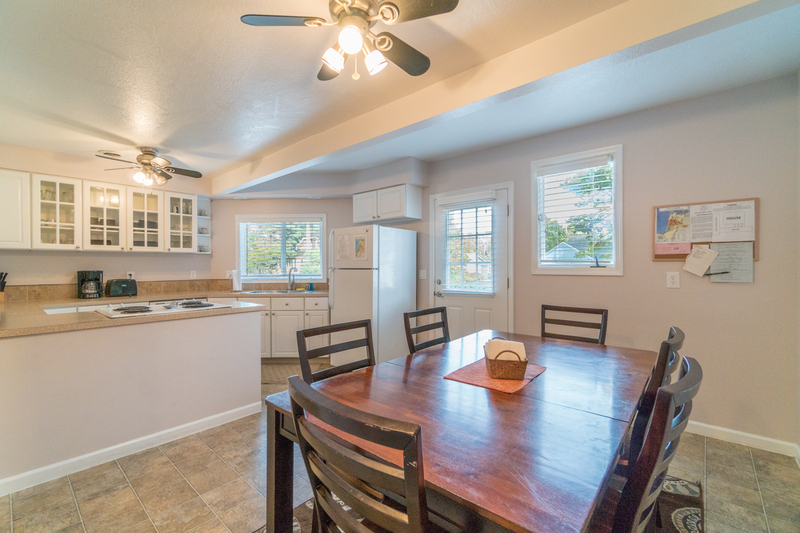 The kitchen offers everything you'll need to whip up your own homemade meal or simply enjoy some takeout together at the dining room table. Either way, you'll feel right at home. The first bedroom has a king size bed, the second has a queen size bed, the third has a twin size bed, and the last bedroom offers a queen and a twin size bed, making this an ideal room for the kids to stay in so they can be together, or perfect for a family of four with small children who prefer to sleep near their parents. You'll find plenty to do while staying in Seaside, from exploring the beach, to walking the promenade! There's also a movie theater and an outlet mall located in town, along with plenty of places to eat! 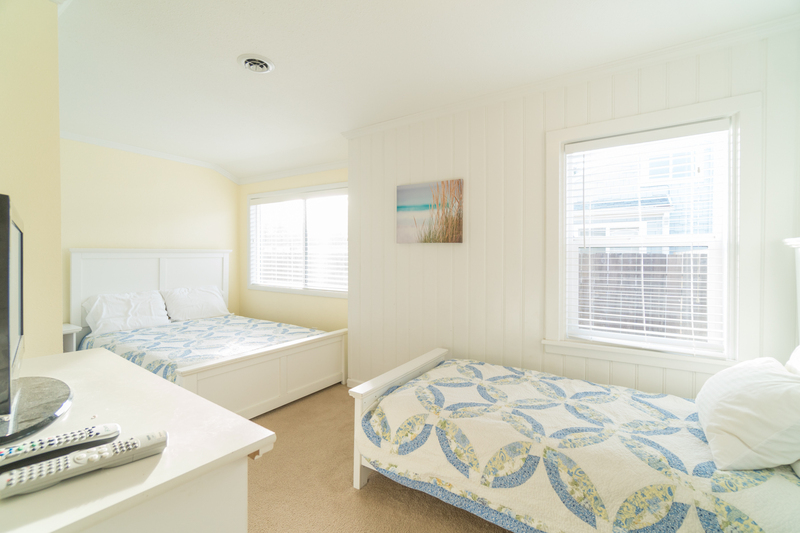 Whatever you choose to do, you're sure to love your stay at Beach Retreat! 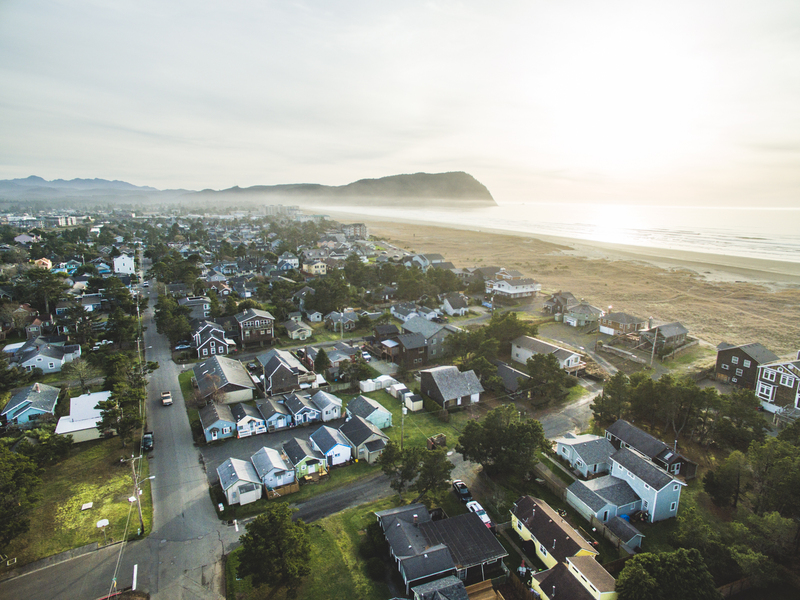 Pack your bags and book your stay today with Oregon Beach Vacations! 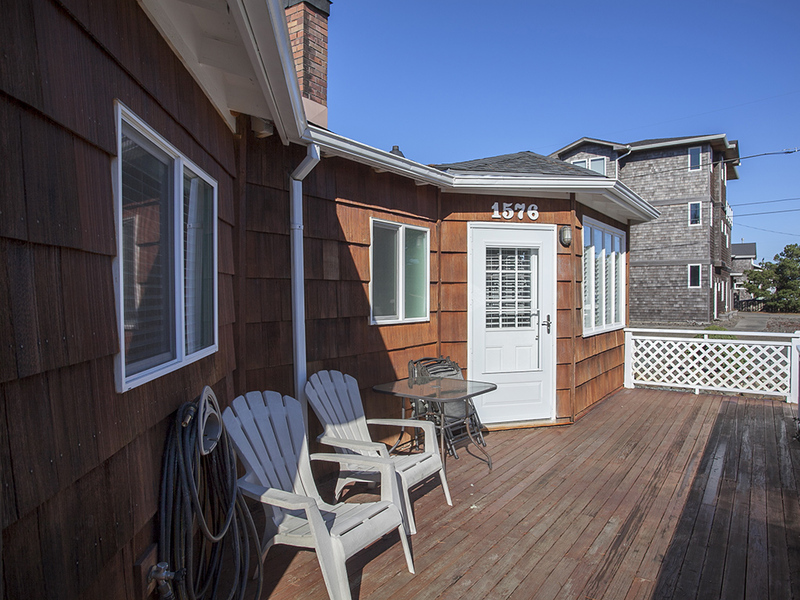 Beach access: Approximately one block away from this home and visitors can follow the road in front of this home's garage west to a public beach access. "Hello Mikki, Thank you for your review. According to your stats, you had a great stay at Beach Retreat. We hope to have you back again soon!" 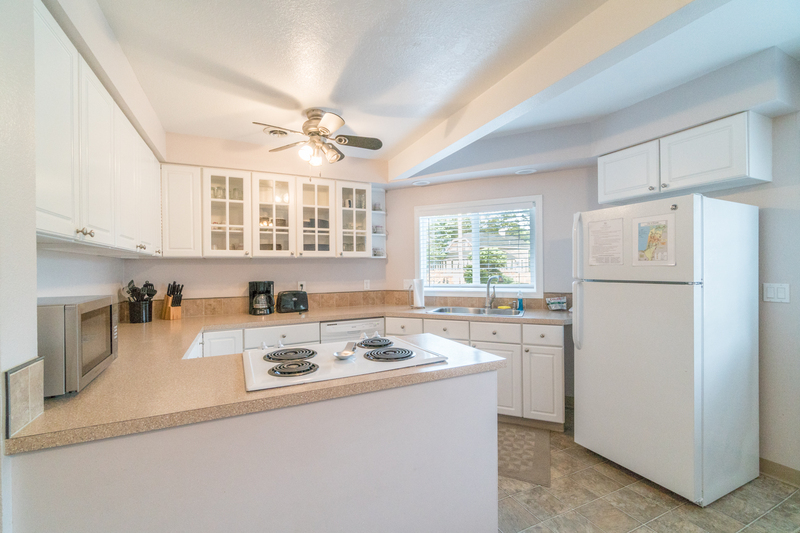 "Amazing cottage, very very close to the beach and everything else, complete kitchen even including a blender and Keurig. " "Hello Monica, Thank you for your review. We are glad to hear that you had a great stay at Beach Retreat. It sounds like you all were able to relax and enjoy the weekend together. We hope to have you back again in the future!" "Wonderful home. Clean and comfortable! Very quiet neighborhood. " "Hello June, Thank you for your review. We are glad to hear that you had a great visit to Beach Retreat. It's good to know that the unit was clean and comfortable on arrival and stay! We hope to have you stay with us again in the future." "I spent a nice weekend here with family and friends. Everything was as expected." "Hello Matthew, Thank you for your review. We are happy to hear that you enjoyed your stay at Beach Retreat. We are glad that you had a wonderful time visiting with your family as well. We hope to have you all stay with us again in the future. Thank you again for your review." "Great vacation home. 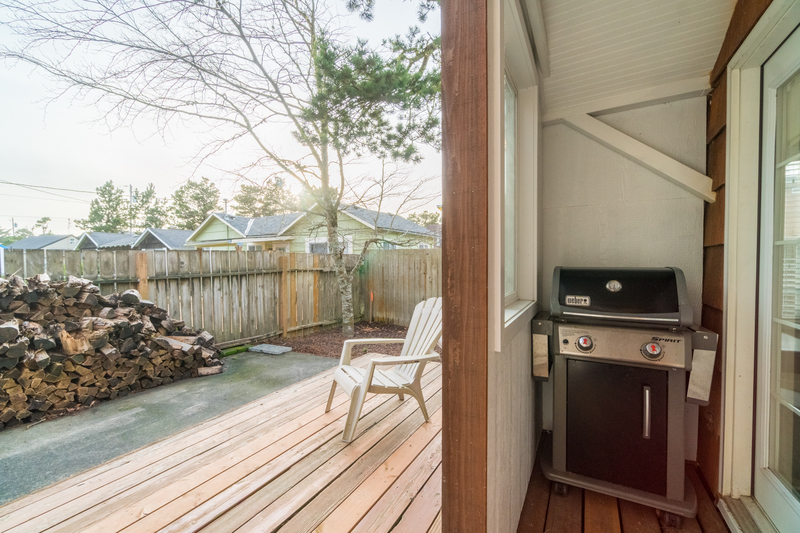 Close walking distance to beach and also the promenade but far enough away from downtown so it was quiet.Great location to explore Astoria area." "Hello Melanie, Thank you for your review. We are glad to see that you enjoyed your visit to Beach Retreat! We hope to have you stay with us again!" "Seaside is a sweet town, definitely has a Tourist feel. Great beach and easy layout. 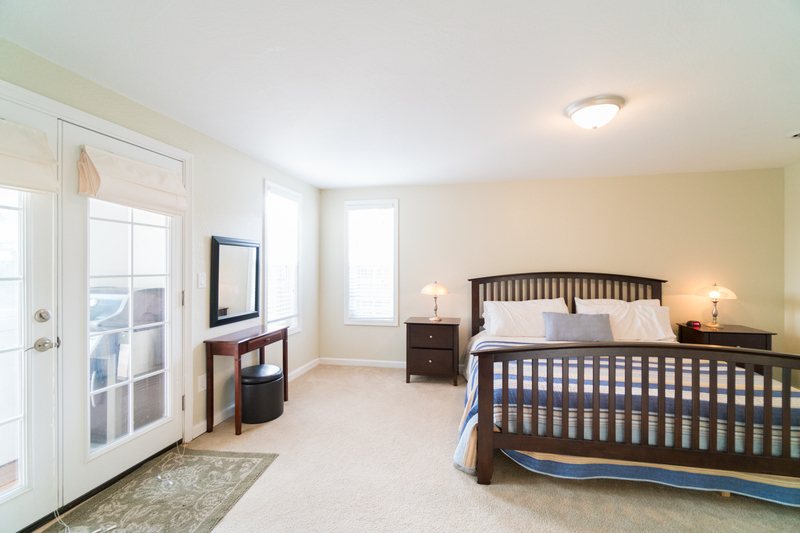 The home is spacious and offers different areas for visiting, puzzles and lots of TV’s - DVD players. Great game selection and comfy cozy living room layout. We enjoyed our stay with 5 women and two kids very much! " "Hello Elizabeth, Thank you for your review. We are happy to hear that you had a great stay at Beach Retreat in Seaside. It sounds like the home offered everything that you and your girlfriends needed to have a relaxing stay on the beach. We hope to have you stay with us again soon!" "It was an easy process and the place was so well kept, it was a relaxing vacation because we didn’t have to worry about a thing! " "Hello Alisha, Thank you for your review. We are glad to see that you enjoyed your stay at Beach Retreat. 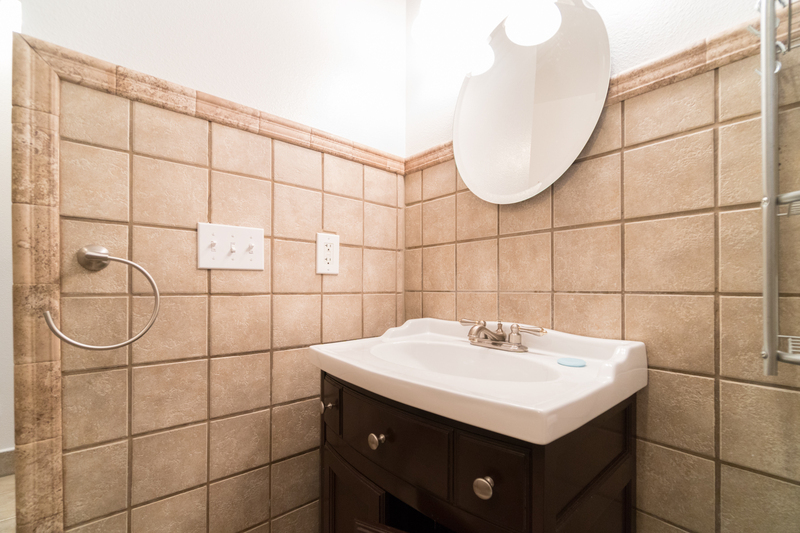 We are glad that we were able to make it easy for you to book and that the home was clean and well accommodated. We hope to have you come back again soon." "Wonderful clean home. Tucked away a bit from the hustle of town, but still close enough for a quick drive in, or even a brief walk." "Hello James, Thank you for your review. We are pleased to hear that you enjoyed your time spent at Beach Retreat. We hope this means you'll be back again soon!" "Excellent house for tow families of 4 to stay in. Plenty of room and very close to the beach! Very nicely maintained and had games and laundry which was a plus! " "Hello Camille, Thank you for your review. We are glad to hear that you had a great stay at Beach Retreat! We hope to have you stay with us again soon in the future!" "Three times a year 7 or 8 of us ladies do Retreats at the coast and this was our first time renting this home. It was absolutely perfect for us. 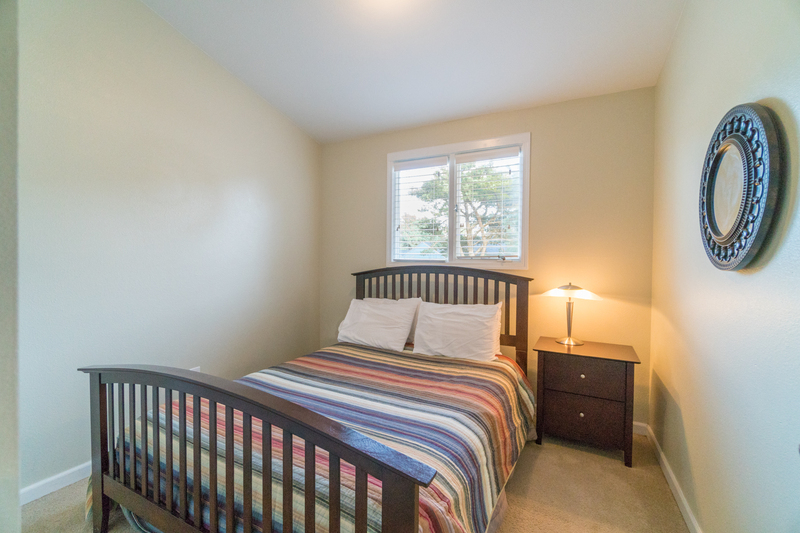 The beds are comfortable, the layout of the home was terrific, it was well stocked, a very short walk to the beach, and very close to the factory outlet stores and Starbucks:)!!!" "Hello Rachel, Thank you for your review. We are so pleased to hear that you had a wonderful time at Beach Retreat! We hope this means you've found your new vacation getaway, and we hope to have you stay with us again for another wonderful trip. Thank you again for your review." "We had a wonderful stay in seaside! There were 4 adults and 2 kids ages 3 and 5. The house was perfect, big enough for everyone to be comfortable. It was clean and inviting. We were just a short walk from the beach and without small kids it would be a nice walk to the downtown area! Would definitely recommend 😀"
"Hello Rebecca, Thank you for your review. We are glad to hear that you had a wonderful time visiting Beach Retreat. It sounds like this home was just about perfect for everyone in your party. We hope to have you stay with us again in the near future." "Very nice home, great kitchen, great location. " "Thank you Harryet, we are pleased to hear you enjoyed it. " "Hello Amanda, Thank you for your review. We are glad to hear that you enjoyed your stay at Beach Retreat! We hope to have you stay with us again in the future!" "The vacation rental was perfect, everything exactly what the Link said. The home was very spacious for all 7 of us, we would for sure stay here again. Super close to the beach. It looked a little small on the VRBO sight but when we walked in we all were so surprised just how big it really is inside. " "Hello Sheri, Thank you for your review. We are glad to see that you enjoyed your stay at Beach Retreat! We are happy to hear that the home was bigger than you were expecting and housed you all comfortably! Thank you again for your review, and we hope to have you back again soon on the Oregon coast with us for another wonderful vacation!" "We had an amazing time, our Rental Home was absolutely perfect... I cant wait until we get the opportunity to stay in Seaside again... Our Rental was spacious and very homey and the beds were so comfortable. It was obvious to us that the owners take pride in their Rental Home. Thank you so much for the memories..."
"Hello Martha, Thank you for your review. We are happy to hear that you had a great stay at Beach Retreat. 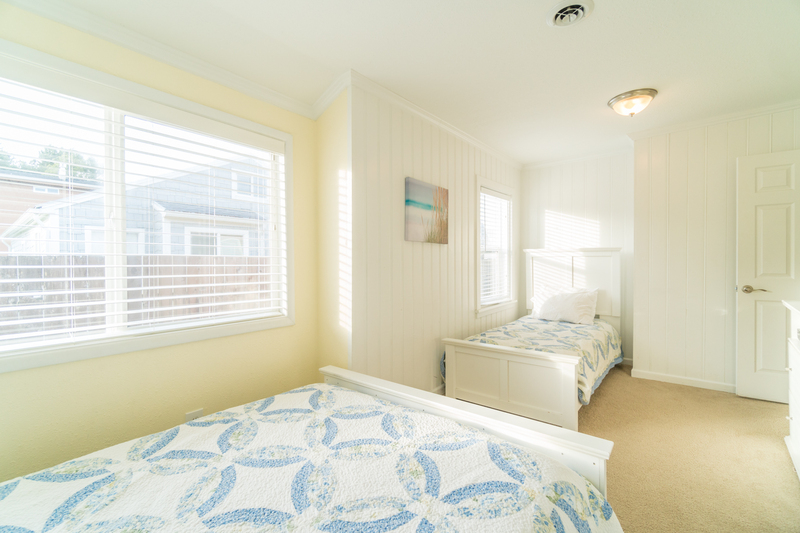 We are glad that you found the home to be comfortable and cozy for your visit to Seaside. We look forward to hosting you again!" "All aspects of rental, from reserving to staying, were excellent. 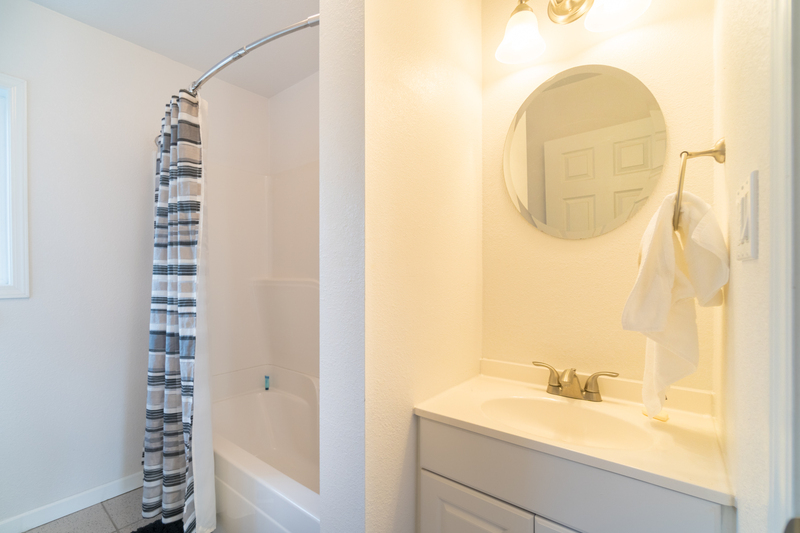 Unit is very well kept, clean and inviting. It's located in a quiet, residential neighborhood and is close to the beach." "Hello Katherine, Thank you for your review. We are pleased to hear that you enjoyed your stay at Beach Retreat. We are glad to know that you had no troubles with renting the unit and that you found it clean and inviting! We hope this means that you'll be staying with us again soon on the Oregon coast!" "We had a wonderful stay at the beach retreat. We loved Seaside and the house. It was very comfortable for our family of five. We saw many local sites. We enjoyed downtown Seaside and our evening walks on the beach. If we visit the area again, we would definitely stay at the beach retreat. " "Hello Roxanne, Thank you for your review. We are glad to hear that you enjoyed your stay at Beach Retreat. It sounds like you were able to fully explore the town of Seaside while staying at this lovely home. We look forward to having you stay with us again soon in the future!" "Three sisters and their husbands enjoyed this beach area home. The weather was amazing, felt like the Arizona we left and made everything feel that much more pleasant. 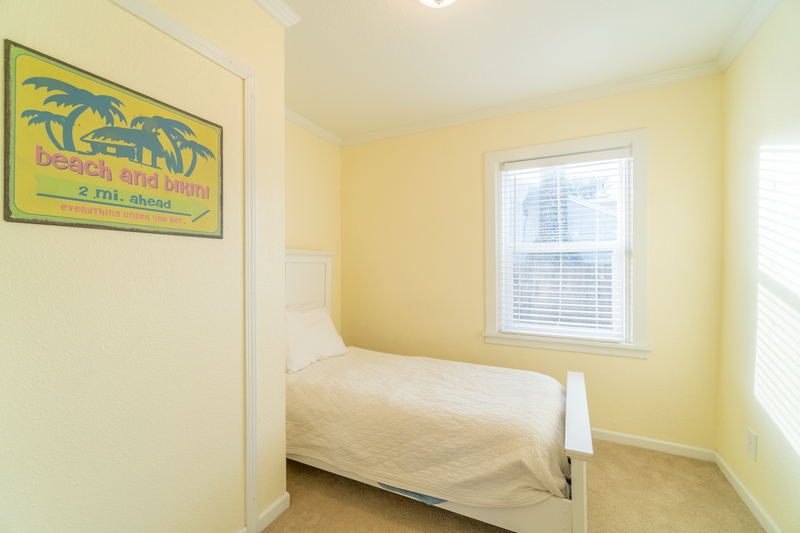 The home was clean and comfortable with easy access to the beach.Thank you!" "Hello Danny, Thank you for your review. We are glad to hear that you enjoyed your stay at Beach Retreat. It sounds like this home was perfect for everyone! We hope you'll come back again for another amazing stay at Beach Retreat. Thank you again for your review." "We really enjoyed our stay at the house. 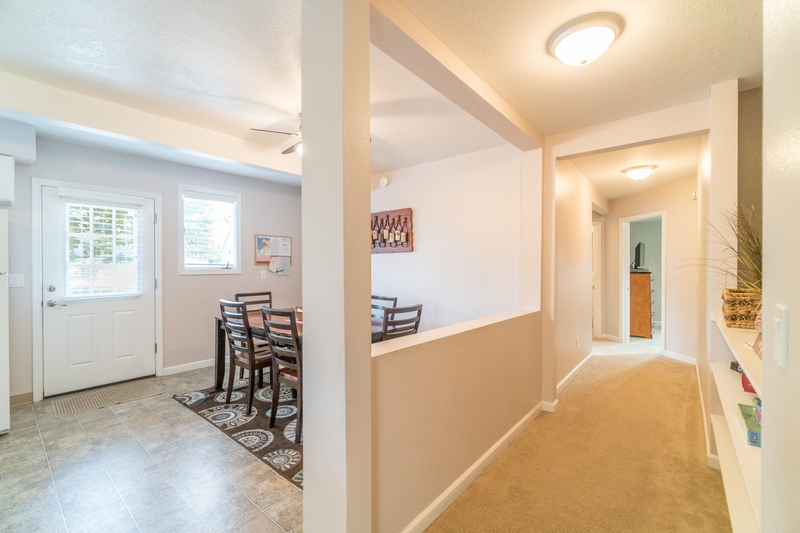 The layout was great for our family with kids and grandkids. There is good beach access just a block away. We didn't find any beach towels so we were glad we brought a few of our own. The check in worked exactly as described. The only confusion we had was after making the reservation we received three or four emails either asking for payment or saying that we had already been charged, or both.... Fortunately, when I called my credit card company they verified that I had not been charged all of those times. Apparently there has been some difficulty or confusion with the email procedures and I trust they will work on those. All items considered, we really enjoyed the stay and would go back again. " "Hello Thomas, Thank you for your review. We are glad to see that you enjoyed your stay at Beach Retreat. We are sorry about the mishap with the emails. 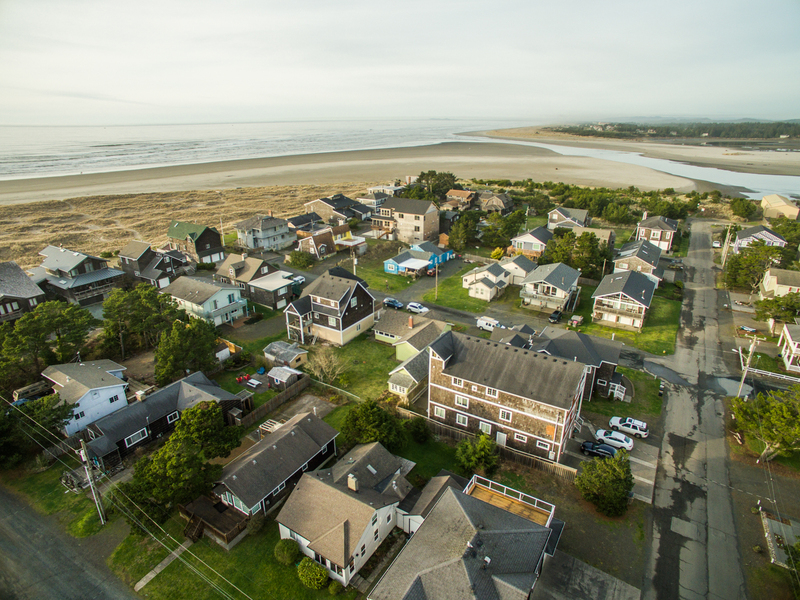 We hope you and your family will consider staying with us again soon on the Oregon coast! Thank you again for your review." "This property was very nice. We would definitely stay here again if we were back to this area. " "Hello Mary, Thank you for your review. We are glad to hear that you enjoyed your stay at Beach Retreat. 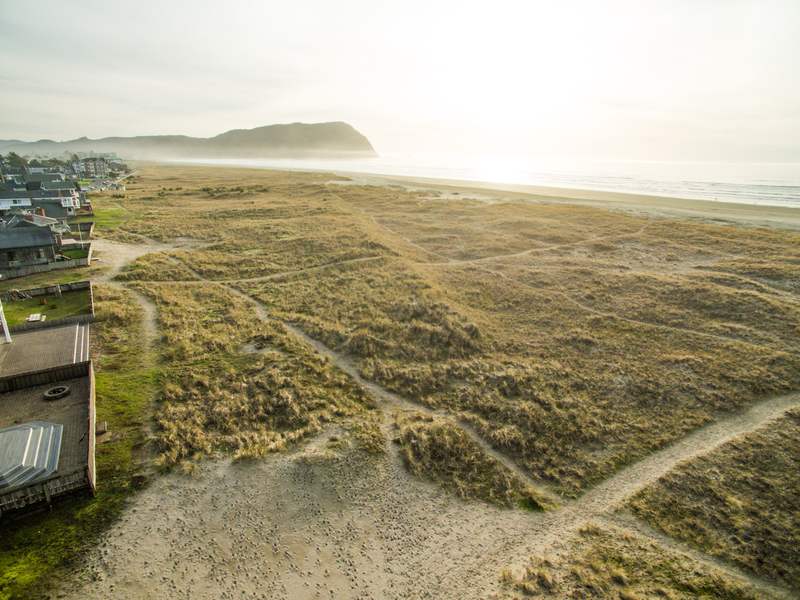 We look forward to hosting you again on the Oregon coast the next time you head our way!" "We loved this beach house. It was perfect for my husband and I, our 3 kids, and 2 grandkids. Everyone had a bed and the kitchen was the perfect size and had all of the items we needed for a seafood feast. The living room comfortably fit us all. My only disappointment was that we were having too much fun out and about to enjoy the sunny deck or the fire pit for a marshmallow roast. But it got a thumbs up from everyone, so we will be back! Thank you so much!" "Hello Brenda, Thank you for your review. We are glad to hear that you enjoyed your stay at Beach Retreat with your whole family! It sounds like you all had a great time visiting the Oregon coast, and we look forward to hosting you again soon!" "We had a great time this past weekend and will think of using this property again in the future!" "Hello Kevin, Thank you for your review. We are glad to hear that you enjoyed your stay at Beach Retreat. We hope to have you stay with us again in the near future!" "Hello Margie, Thank you for your review. We are glad to hear that enjoyed your stay at Beach Retreat. We hope to have you stay with us again soon!" "We had never rented this property and we were pleasantly surprised upon arrival. The location is great - very short stroll to dunes and the Pacific Ocean!! The house was very comfortable for our group of adults and little ones. " "Hello Edie! Thank you for taking the time to give us a great review. I am happy to hear you enjoyed yourself, and hope you can visit again soon! " "My family and I had a great time at this place. Accommodated all our vacation needs and we felt comfortable. " "Good ir was an awesome place and we had lots of fun "
"Hello Margarita, Thank you for your review. We are happy to see that you enjoyed your stay at Beach Retreat. 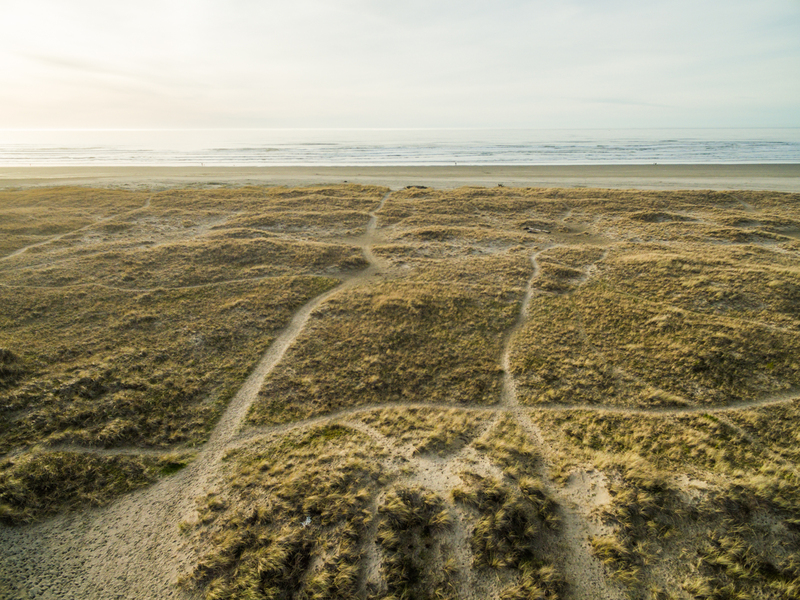 We hope to see you back again soon for another Oregon beach vacation!" "While this was a spacious house with 4 bedrooms and 2 baths and it was a very short walk from the beach, I still believe it was overpriced. When renting a house instead of staying in a hotel, renters generally want a home away from home experience and that was not what we got with this cottage. The pictures, like most, were accurate-ish on a second look but, certainly, a little beautified. The home was a little cold and under-decorated; it seemed kind of empty and lacked the charm it seemed to have in the bright pictures. And when spending almost $900 for a 3-night vacation it would be nice, if not expected that the home would be stocked with some cleaning items(which there were basically none) and possibly even toiletries but instead there was essentially one sponge, a bottle of dish soap and some small bottles of shampoo. If I wanted that I would have stayed at a hotel and at least then we would have had room service and a cleaning service everyday and I wouldn't be paying a management fee and cleaning fee, as well as taxes. Speaking of cleaning fee: the carpets were stained and filthy, there were gobs of hair, wrappers and previous guests items under the beds and couches(which I only found from looking for any left over items from my family). The kitchen floor was greasy from whatever was used to clean it last, there was pink soap scum in the bathroom shower closest to the living room, and I think worst of all the toilets were dirty from previous guests bodily functions. To top this off when I wrote this to management, all they replied was that they'd send the message on to the cleaning service and then I never heard from them again. I've stayed in a lot of homes all over and I've never written a bad review until now so I'd like to leave this on a positive note; the couches and beds were comfortable, the kitchen was stocked wonderfully with cooking utensils and there was plenty of room to roam in the house. " "Hello Nicole, Thank you for your review. We are sorry to see that you did not enjoy your stay at Beach Retreat. We are confused as to who you may have contacted about the cleaning issues you experienced in this home. We do not have any record of you calling us about it, and we see that you booked your stay through VRBO. Is it possible that you contacted them about the cleanliness of the home? They are not responsible for the cleaning so they may not have bothered passing the information on to anyone. If we had been contacted directly, we would have sent another housekeeper out to the property to remedy these issues for you, as well as provide the proper toiletries as it sounds like you did not receive what we provide to each guest. We are sorry for the inconvenience of your stay. We hope to have you back again soon. Thank you again for your review. "